Judging by that title you’d expect this to be all about how wicked (in all senses) ol’ Bob Holmes’s Doctor Who stories were influenced by Hammer Horror films. Wrong! Up to this point in Who, there had been attacks on planet Earth, and in most cases it had been monsters versus soldiers (cf. The War Machines, The Web of Fear, The Invasion). 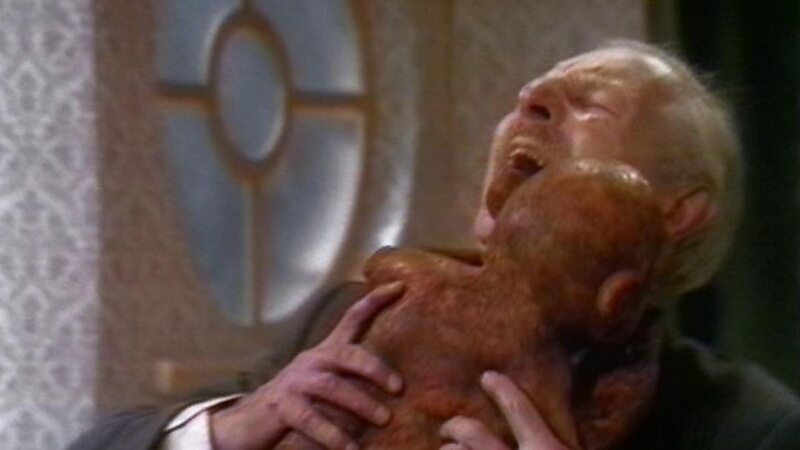 The classic scene in Spearhead from Space Episode Four when the Autons break through the shop window is justifiably lauded, celebrated for the Auton’s creepy shop window awakening. Terror of the Autons is Holmes let off the leash. It’s chock-full of new and innovative ways to murder folk. And the scene of minor character George McDermott’s execution is a case in point. He’s not central to the plot. His death has no real consequence in the story. He’s just there to show what a heartless b*stard the Master is. This blackly comic scene of a middle manager suffocated by an inflatable plastic chair in his office is awarded an extraordinary two-and-a-half minutes of screen time. And you can imagine Holmes dreaming up the punchline with a hoot, spraying whisky-and-soda over his Hermes 3000: ‘Sylvia, will you check Mister McDermott’s entitlement on termination of employment, please?’ The line delivered with deadpan finesse in the show by Michael Wisher as the younger Farrell. While he (and the entire Who production team) were forced to reign in the butchery as the result of a House of Lords debate on TV violence prompted by the serial, Holmes never lost his love of the Grand Guignol (with a guffaw). Probably the best example is the fate of poor Joseph Buller, his drowned corpse unceremoniously fished from the Thames with a boat hook (in Talons too). It could have been a poignant scene, but naughty Ol’ Bob couldn’t resist the action being accompanied by the commentary of a toothless hag, spouting cod Victoriana. ‘On my oath,’ she says. ‘You wouldn’t want that served with onions. Never seen anything like it in all my puff. Oh, make an ‘orse sick, that would…’ Genius, Bob. Bad, bad genius. A small sub genre of Holmes’s slaying-with-a-smile is the killing of innocent people by cheerie dolls. 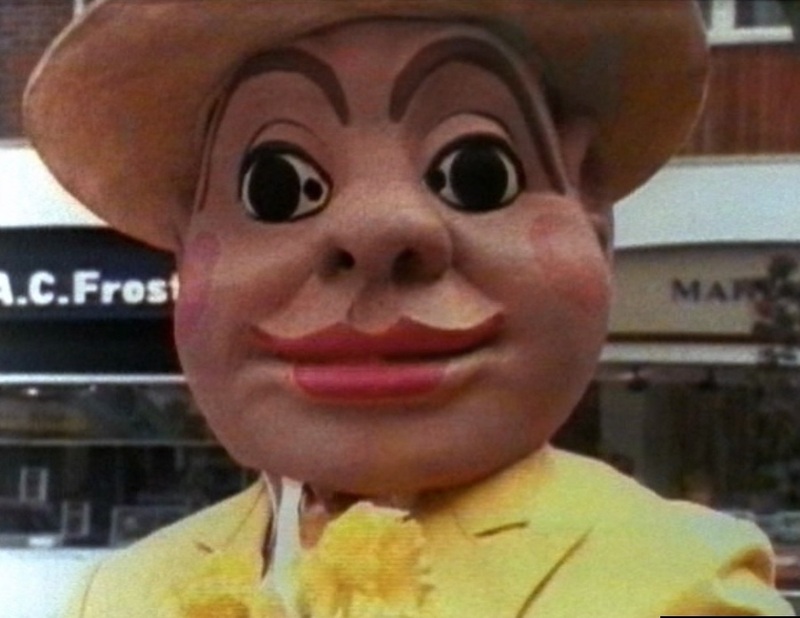 In Terror, the Autons don disturbing giant happy face masks, straw boaters, and blazers to distribute deadly daffodils. Mr Sin in Talons is another example; a ventriloquist dummy with a strange man/child voice that leaps out of baskets and tries to stab you in your nightgown. But, for me, the most terrifying is the plastic troll doll in Terror that kills the older Mr Farrell in his favourite armchair while perusing the Financial Times. This is mostly because having watched with my kids the extraordinary Cbeebies children’s classic, In The Night Garden, the doll looks startlingly similar to the Garden’s strange cave-dwelling creature, Makka Pakka. 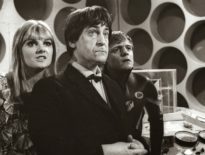 ‘Good heavens, what on Earth do you take me for?’ eclaims the Third Doctor when Sarah-Jane suggests he is using poisonous gas to drive off attacking soldiers – a line taken from the Holmes-penned Time Warrior. 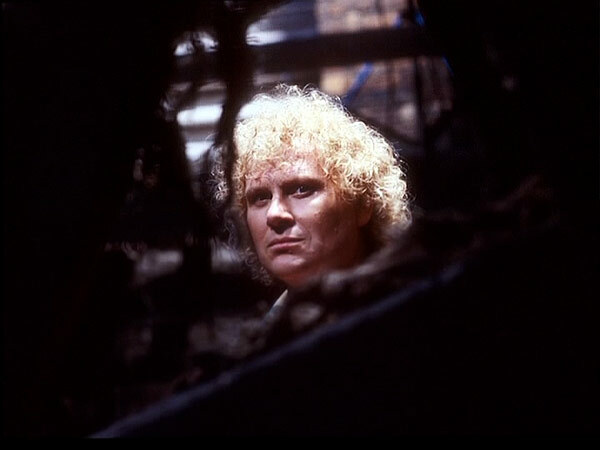 But Bob’s vision of the Doctor is not quite the ‘never cruel or cowardly’ figure, as described by Terrance Dicks, and adopted as the benchmark in new Who. And on top of that, Holmes also shows the Fourth Doctor deliberately offing the Graff Vynda-K in The Ribos Operation. Not yet displaying his more enlightened later views on mental illness (as seen in Vincent and the Doctor), our hero uses slight of hand to deposit an explosive on the Graff’s person. In his emerging madness, the Graff unknowingly detonates the device, dispatching himself in the process. Okay, so the Doctor didn’t press the button, but he knew the barmy Vynda-K would. Why didn’t the Doc defuse the bomb when he had it in his possession? From what we know, he’s a bit of a clever clogs when it comes to technology… Nah, blow up the loony. Who’ll miss him? So this doesn’t count as a death trope the Holmes regularly employs. He only uses it once. But it’s makes the list because it’s hilarious. Spearhead From Space is one of the most classy, well put-together Doctor Who stories of all time. Cast, direction, music, effects, and script combine to create classic Who of the highest order. 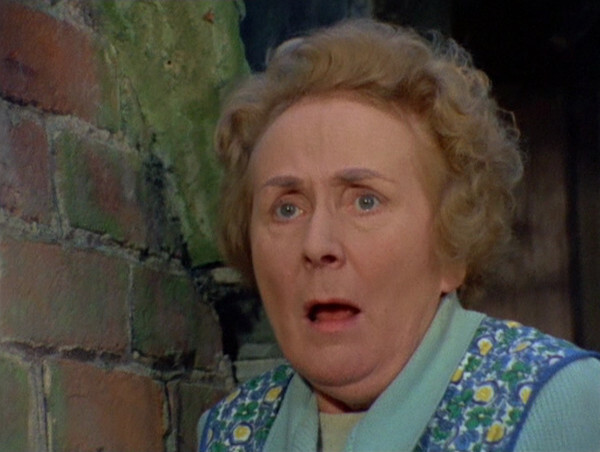 So what the flippin heck happened when they came to dub the sound of a dog dying in episode three…? ‘Oh, be quiet, Barney. Stop that row,’ says Meg Seeley. She’s meant to be addressing an off-screen hound, but it sounds to me like she’s rebuking her dim-witted son Barney for his unconvincing doggie impressions. Why didn’t they put on the LP, BBC Animal Sounds Volume II (repressed in 2012 and available from all questionable vinyl stores now), and select track 26: ‘Realistic dog bark then strangulation, performed by an actual dog.’ Arf, arf, arf, arf, meew, meew, meew… thump. But it’s not all death, death, and more disturbing death from Bob. He penned a number of stories where very few (particularly in Doctor Who terms) people were killed at all. Only the scheming Kalik and Orum fail to make it to the curtain call in Carnival of Monsters, and their deaths are off-screen. 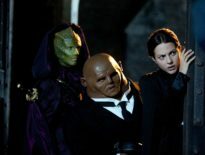 Similarly, only bumbling Irongron and solo Sontaran Linx are bumped off in The Time Warrior. 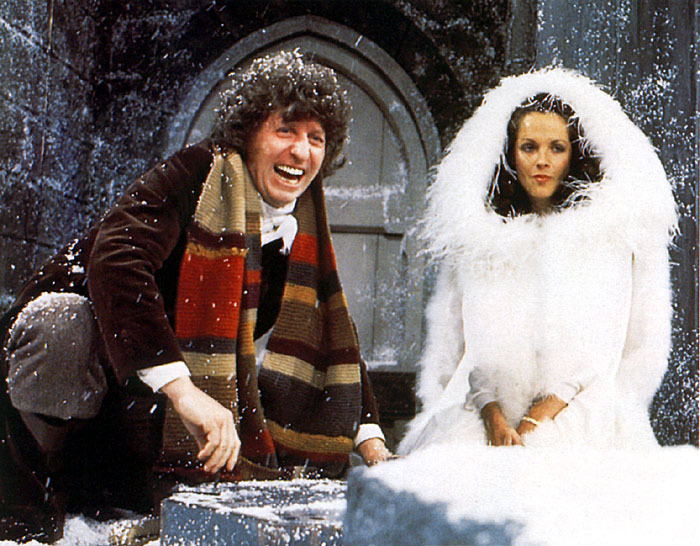 But in a strange quirk, the Doctor Who writer renowned for his inventive and brutal methods of reducing the cast list, failed to kill anyone off in his final script, the first part of The Ultimate Foe (or the 13th episode of Trial of A Time Lord depending on preference/ pedantry).